Increasing numbers of youngsters are accessing support services in Hartlepool for drink and drug problems. 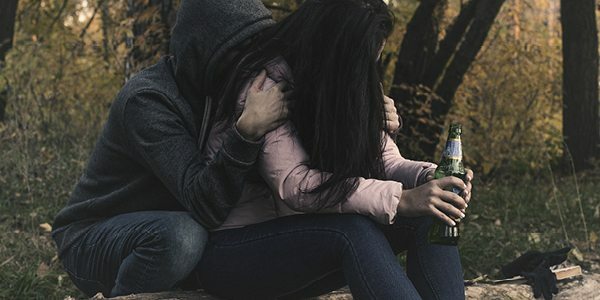 The town, which is the 18th most deprived local authority area out of 326 local authorities, admits to children as young as 12 getting help for drink or drug misuse. In its community safety strategy, the Safer Hartlepool Partnership (SHP) reports that 58% of people in Hartlepool drink alcohol at risky levels and that the number of people dependant on drugs is more than double the national average. Hartlepool has the highest rate of drug-related deaths in the North East. One of the SHP’s main objectives over the next 3 years is to reduce the harm caused by drugs and alcohol. One way to achieve this is to make it easier for people to access help. At present, two thirds of the estimated drug dependant population in Hartlepool are receiving treatment. Heroin is the main drug used by adults. The young people in drug treatment primarily use alcohol and cannabis. As well as improved access to preventative and early treatment, the SHP aims to provide training to licence holders and staff to encourage responsible trading and reduce instances of underage sales. AlphaBiolabs has a Walk in Centre in Newcastle upon Tyne and is able to perform testing in Hartlepool. For information on any of our drug testing or alcohol-testing solutions including continuous alcohol monitoring, please call 0333 600 1300 or email us at info@alphabiolabs.com.